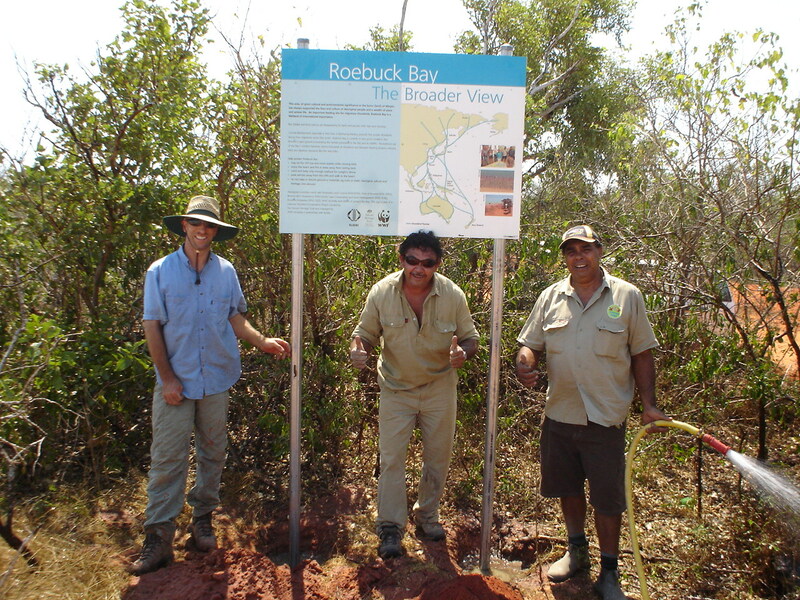 In 2007 the Roebuck Bay Working Group were awarded a State Coastal Award and Coastwest funding to employ a Project Officer for 25 hours per week! Other outstanding achievements are signs for the northern shores, proudly illustrating the Yawuru connection to Roebuck Bay as well as importance of the Bay to migratory shorebirds. It wasn’t all good news however, with another Lyngbya bloom during the wet season and a subsequent seagrass die off. 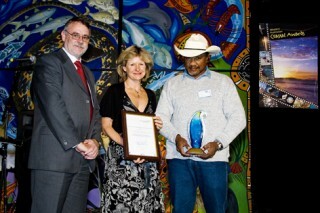 The RBWG wins a 2007 State Coastal Award. New signage on the Bay’s cultural and natural values.